PolyU abounds with opportunities for students, faculty and staff to learn about, advocate for, and implement sustainability practices on campus and beyond. This can be best illustrated by PolyU’s offering of a service learning subject named Educating Rural Farmers on Healthier Food Production by the Department of Applied Biology and Chemical Technology (ABCT) for three years. Sustainability is a defining issue of our time. It is now central to the programmes of many governments, businesses, educational institutions and non-government organizations around the world. It extends beyond the boundaries of ecological and economic development, business viabilities, education, public decision-making and personal behaviors. 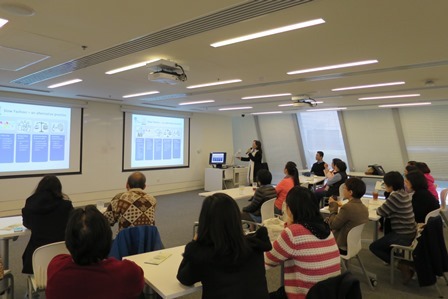 Sustainability is also a strategic priority for The Hong Kong Polytechnic University (PolyU). PolyU abounds with opportunities for students, faculty and staff to learn about, advocate for, and implement sustainability practices on campus and beyond. This can be best illustrated by PolyU’s offering of a service learning subject named Educating Rural Farmers on Healthier Food Production by the Department of Applied Biology & Chemical Technology (ABCT) for three years. This subject does far more than providing basic training on farming techniques. “We bring students to rural farming communities in Heyuan (in Guangdong), Shifang (in Sichuan) and also Hong Kong. Students have to use their knowledge and skills acquired in class to help the farming community to increase their productivity and to improve crop quality. They have to communicate with the local farmers in China or the intellectual disabilities in Hong Kong effectively, to learn about their needs and consider solutions to answer. Some students are engaged in tasks like designing viable business models and publicity plans. The entire subject is so wide-reaching than one can’t imagine,” said Mr. Alex Chan, instructor of this programme and Visiting Fellow at ABCT. It’s beyond words to describe how the subject impacts and astonishes the participants, especially those students who are city dwellers. “I had no similar experience before when I enrolled into this subject, and I had never imagined seeing myself working on farmlands in Hong Kong and Shifang, and to help with fabricating agricultural devices,” said Steven Leung, a final year PolyU student. “I went to Shifang with my other team-mates and stayed with the local farmers. We joined them in carrying out agricultural activities in the growing of Jew’s ear (Auricularia auricular) and experienced their hard work in spite of adverse weather. We explored into various ways such as building a solar-powered dehydrator to help the farmers in improving their output. We advised them on making use of new technologies to remove pesticides and grow healthier produce. We felt so amazed and were delighted to see we could contribute and apply what we have learnt,” Steven spoke with excitement. This subject approaches sustainability from multiple facets. Students are given the opportunities to experience a busy farmer’s life with the locals and meet the challenges from the weather and nature. They explore into sustainable and organic farming practices and work with the farmers to bring about efficient production of produce and simultaneously safeguarding the natural environment. They also investigate into proposals to bring about sustainable business models for the farmers and to deploy measures to ensure food safety standards are met. A succession plan is on its way while Alex and Steven are opening up a new farming site on PolyU campus together with students and graduates. This farming site, located near Block VA, is their experimental base, a ‘reunion zone’ and also a showcase to the PolyU community. “We hope to get students and graduates to work voluntarily on this site, and help with testing out different farming methods before we roll out onto other physical sites in Hong Kong and in China.” Alex said. This site on PolyU campus may not be big in size when compared with others, but it transcends lots of limitations and opens up a new world for learning. It takes reference from their existing establishments and collaboration with Hong Chi Association in Fanling where horticultural therapy activities take place. Unwanted pallets, waste plastic bottles and wood wine boxes are collected and used to set up rooftop and vertical farming systems. Organic potting soil is used and mixed with other dry organic fertilizer. 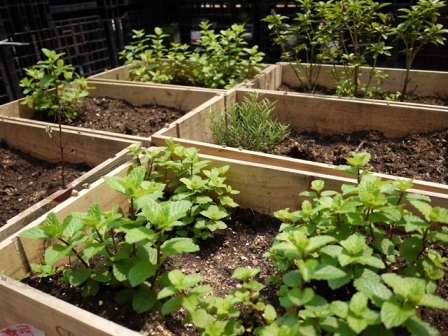 Organic plant species like tomato, herbs like parsley, mint and basil are grown in this site, in which Alex and his students will experiment different methods to dry the herbs and produce herb-infused oil and herb soap. “We have confidence to build this into a successful case of urban farming to impress others, and along the planting process our participants will be able to appreciate what they have now. Participants do not simply work as gardeners, but as upcycling talents, organic growers, and also practitioners of horticultural therapy,” Alex commented. In addition to the above-mentioned service learning subject, PolyU endeavors to bring more green elements and farming experiences to staff and students. 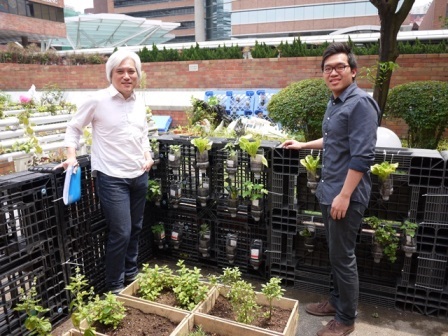 The Urban Farming Programme at Lee Shau Kee Building was organized earlier by the Campus Sustainability Office that over 30 staff and students were given individual planter boxes to grow organic vegetables and herbs in three months. Other urban farming workshops and seminars on sustainable urban organic farming were held in the Campus Sustainability Weeks in March 2016. All these activities won tremendous support from the PolyU community who treasures farming as a channel of relaxation or contemplation as well as a responsible way to grow a green future for all. 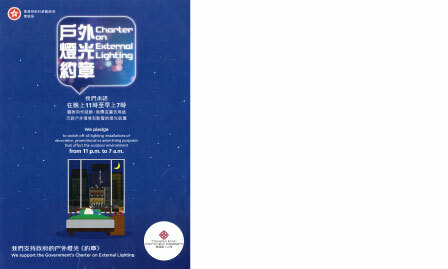 PolyU signed the Charter on External Lighting launched by the Environmental Bureau in early 2016 and pledged to switch off external lighting installations of decorative, promotional or advertising purposes on PolyU campus and related premises from 11 p.m to 7 a.m. on the following day. The Charter aims to address the problems of light nuisance and energy wastage caused by external lighting. Due to the high building density in Hong Kong, external lighting at night will cause nuisance to nearby residents. Switching off unnecessary external lighting during the preset time can provide residents with an environment conducive to sleep. Shortening the operating hours of external lighting can also reduce energy consumption and save electricity. 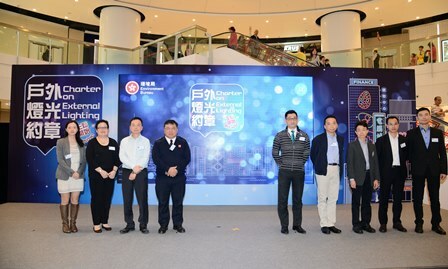 More details about the Charter can be found from the dedicated website at http://www.enb.gov.hk/external_lighting. 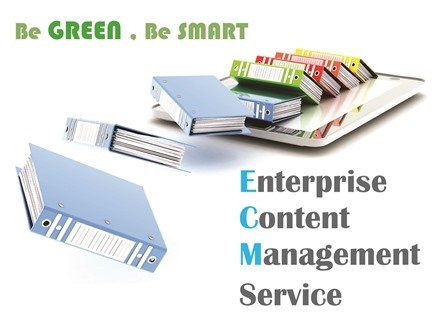 PolyU’s Enterprise Content Management (ECM) service is a strategy, method and tool to capture, manage, store and share content, documents and records related to departmental processes. With functions including document and record management, archiving and imaging, the ECM service provides a common platform for departments to securely store and manage their files. 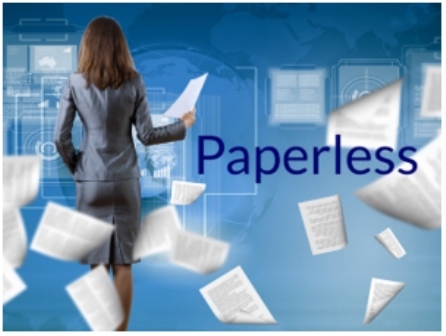 Staff members can establish for his/her department and use electronic filing for various types of documents and records from word documents to emails and photos. Users can also conveniently share such files with work groups across PolyU. ECM not only improves efficiency but also decreases printing and delivers environmental benefits. The ECM service has rolled out since August 2013. Interested departments or staff members can contact Mrs. Daisy Chung of Information Technology Services (ITS) for further details. It’s simple to go green at work! 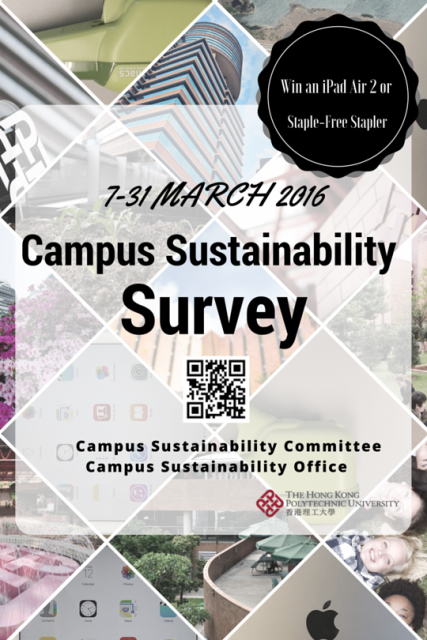 The Campus Sustainability Office conducted the first PolyU Campus Sustainability Survey in March 2016 to solicit views on campus sustainability (environmental performance). Current PolyU students and staff were invited to take this brief survey and play a role in shaping campus sustainability initiatives at PolyU. This survey serves to investigate the attitudes, beliefs, knowledge and support of students and staff on campus sustainability with a focus on environmental performance. All survey results will be analyzed and reported by the Centre for Social Policy Studies of Department of Applied Social Science. The results will help in further enhancing PolyU’s sustainability culture and steering the development of other sustainability initiatives in education, research and community service activities. With a fashionable yellowish outfit, a pair of big eyes and a big tummy, ‘Mr. Bin’ marked his first steps into all catering outlets on PolyU campus and halls in February 2016. ‘Mr. 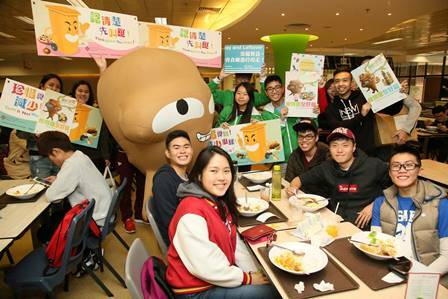 Bin’ debuted in a new round of ‘Eat Wisely’ promotional campaign steered by PolyU’s Campus Sustainability Committee, Campus Sustainability Office and Catering Committee. This home-grown character arouses all diners’ and visitors’ attention and prompts them with easy tips on saving food resources. 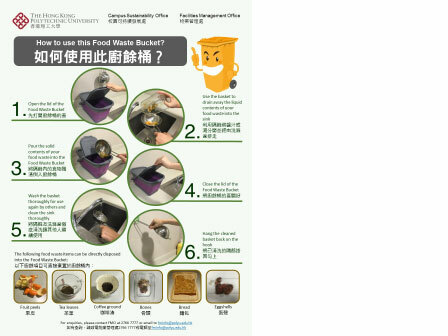 It also symbolizes PolyU’s efforts to support reducing food waste at source. It’s never too late to adopt behavioral changes and help tackle food waste. Let’s cultivate a ‘eat wisely’ culture and motivate your families and peers to support! 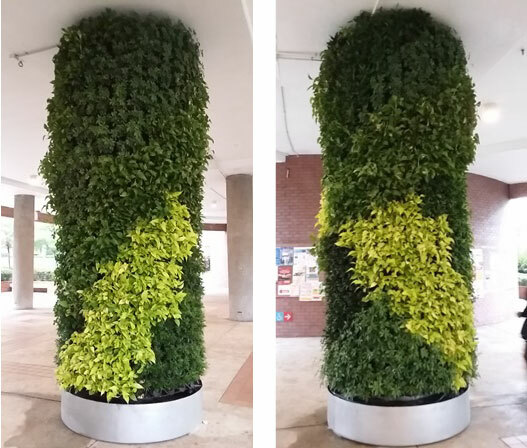 The two Green Columns at the podium of Core P were redressed with different types of green plants, offering a refreshing new look in the second semester of 2015/16 academic year. They bring many aesthetic and environmental benefits to the campus and enable the University to fulfill its active greenery objectives. Relax and enjoy this greenery when you are around! 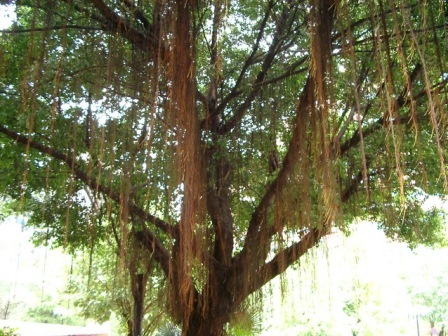 Ficus microcarpa is an evergreen tree with large branches and numerous aerial roots hanging from the trunk and branches. Flowers are tiny, unisexual, numerous, hidden within the fruit which is a fleshy, specialized receptacle that develops into a multiple fruit. You can find its flowers from June to July and the fruits remain from August and October. 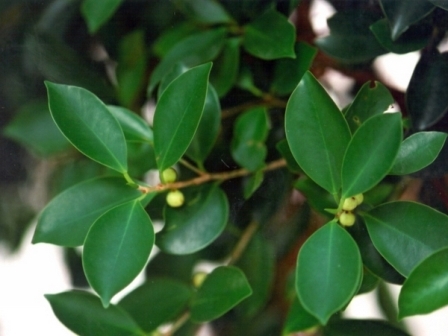 It is commonly cultivated as an ornamental tree for planting in gardens and parks. In the fourth year, the PolyU Campus Sustainability Weeks again confirmed its standing as PolyU’s most eye-catching event on sustainability with over 20 activities including talks, workshops, field trips, reading corner and exhibition in two weeks during 14-24 March 2016. Various upcycling and planting workshops were arranged to offer ‘do-it-yourself’ activities and also valuable lessons on how to make good use of neglected old stuff and treasure the resources around us. 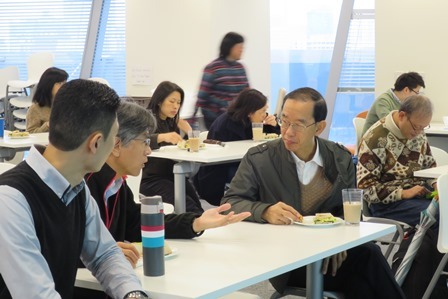 Leading local ‘green’ veterans shared their views with PolyU students and staff as they spoke at lunch talks. Prof. Lam Chiu Ying explored the real essence of ‘green living’ and Prof. Vivian Taam Wong warned us about how our ‘fast fashion’ habit adversely drags the environment to deterioration. This annual event heightened the profile and visibility of sustainability among the participants and built a platform to facilitate a ‘campus sustainability dialogue’. Information about this event can be found at http://www.polyu.edu.hk/greencampus/csw/2016/. You are most welcome to join this meaningful event when it returns next year! Earth Hour, launched by the World Wide Fund for Nature (WWF), was held on 19 March 2016 (Saturday) from 8:30 pm to 9:30 pm to highlight the urgent need to address climate change. PolyU has been supporting this meaningful event for ten consecutive years since 2007 by switching off most non-essential lighting during that period. The message was widely spread to different stakeholders, departments and individuals who were invited to participate on campus or at homes to turn lights off. 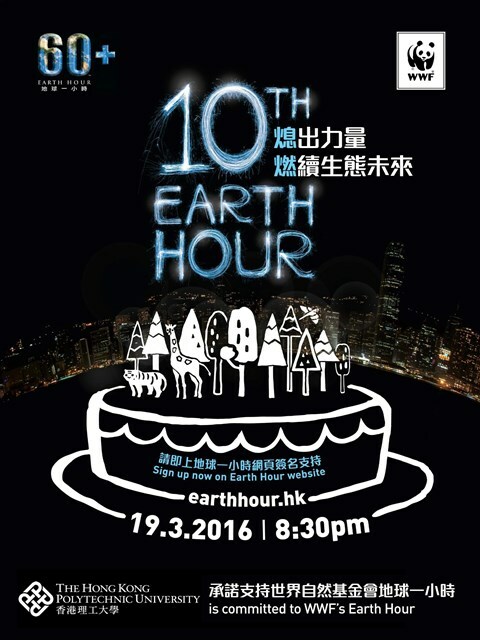 More about the Earth Hour campaign can be read from the website https://earthhour.wwf.org.hk/en. 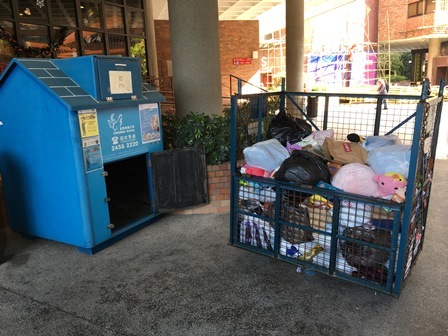 To motivate students and staff to increase recycling efforts and reduce waste generation, the Campus Sustainability Office collaborated with Christian Action in setting up a collection house at podium level of Communal Building to collect used clothes, accessories, toys, shoes and bags etc. During October 2015 to March 2016, over 110 kg of clothes, 140 kg of household items and 20kg of books were collected. 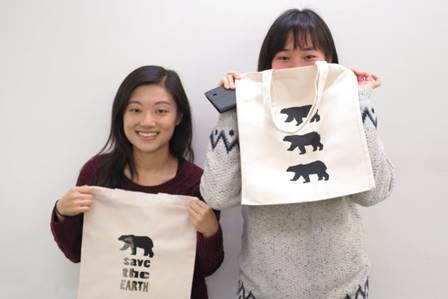 Another activity was staged during the PolyU Campus Sustainability Weeks 2016 in March. 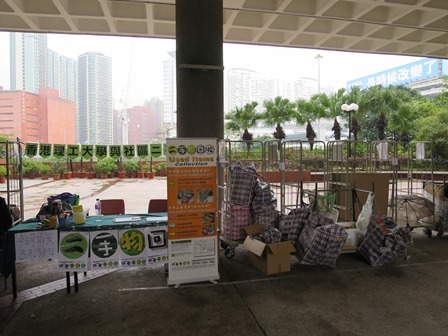 The Campus Sustainability Office, PolyU Staff Association and Community Recycling Coop co-organized the Used Item Collection Campaign to collect the used items from the PolyU community. Items collected were given to the low-income families in the territory. The action of dropping the plastic containers into the litter bin may only take you a few seconds. But the waste may take hundreds of years or even longer to completely degrade. 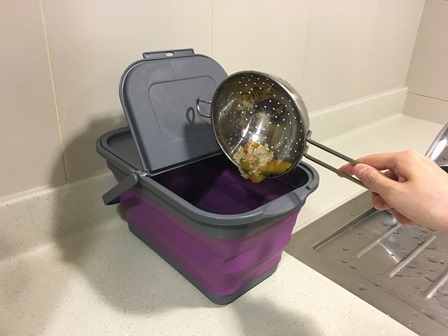 With the aim of encouraging the campus community to practise bring your own (BYO) and produce less plastic wastes, staff and students can enjoy HK$1-3 discount when bringing your own food containers or mugs to purchase food or drinks at PolyU’s selected catering outlets. Note: All Bring Your Own (BYO) discount information provided here is for reference only and please contact the relevant caterers directly for details. 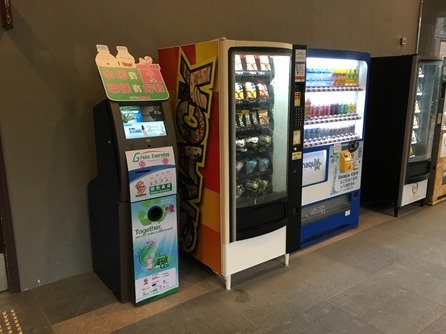 Upon dropping used plastic beverage bottles into the recycling vending machine at the podium level of Li Ka Shing Tower, Lee Shau Kee Building, Shaw Amenities Building and Block Z, you will have the chance to obtain new coupons sponsored by D Cafe at Jockey Club Innovation Tower to enjoy a complimentary drink upon purchase of hot food items. 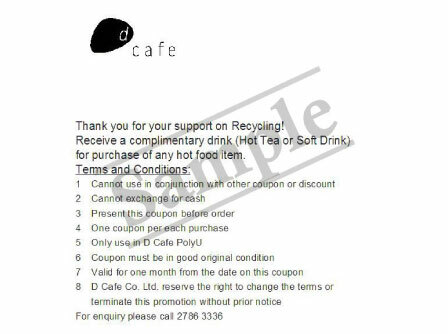 Note: The coupon information provided here is for reference only and please contact D Cafe directly for details. Information Technology Services (ITS) has started the campus-wide Workspace Equipment Upgrade Exercise to provide staff members with new equipment, including desktop PC, notebook and thin client devices. Delivery and installation starts in phases since February 2016. For details, please visit the full Procedure Manual for Inventory Control from FO’s website at https://www2.polyu.edu.hk/fo/FO_Web/FO_Doc/FTStaff/FT_PG/FT_PG_IS/M-InvCtrl.pdf. 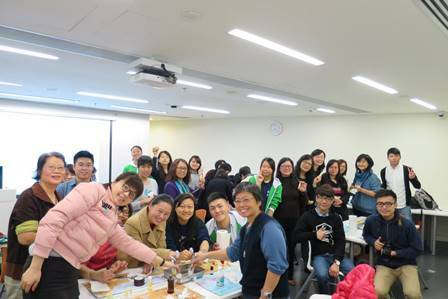 The Green Society of the Hong Kong Polytechnic University Students’ Union (HKPUSU) held a Barter Party in early February 2016 and attracted lots of supporters. The activity offered opportunities for participants in terms of sustainability awareness-raising, promoting recycle and reuse practices and a greener lifestyle. Used clothing, stationeries, books, toys, decoration items etc. were gathered and exchanged. 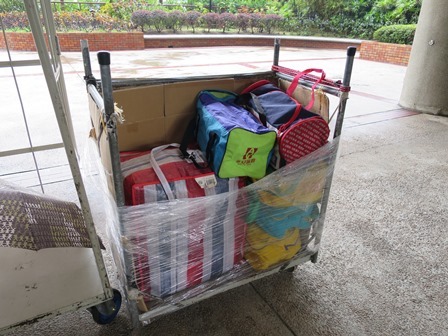 Remaining items were donated to the underprivileged through the NGOs and social enterprises. 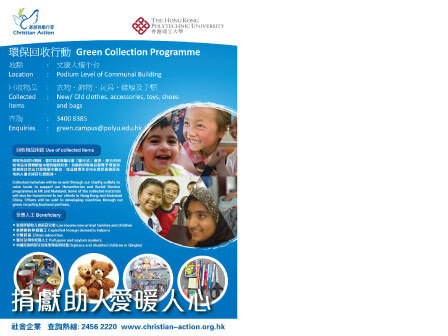 The Green Green Hall Community (GGHC) aims to promote environmental awareness and embrace green thinking at the Hung Hom Halls of Residence, with a history dated back to 2009. 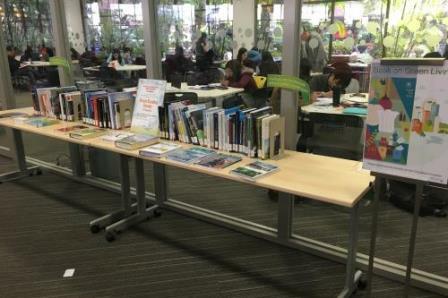 Various activities were organized to arouse students’ awareness of environmental protection, and to facilitate community-wide participation in sustainable practices such as recycling. 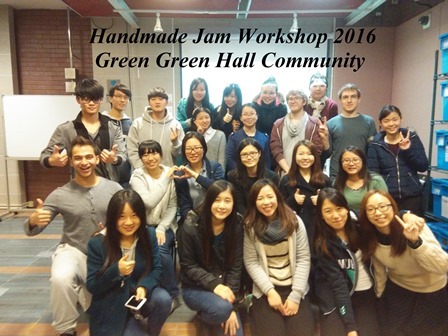 This year, GGHC organized a number of events such as handmade jam workshop, shoreline cleanup, food waste-related project and supported Earth Hour. Students expressed their overwhelming interest and support by participating in these activities. The Inter-hall Recycling Competition was organized for its second time after its great success last year and lasted for a span of four months. Each month is devoted to the recycling of one specific material type. Over 40 kg of recyclable metal was collected in January, and an impressive amount of 68 kg of glass was collected in February. Another 64 kg of plastics and 632.7 kg of waste paper were collected. Green Hall organized a hiking event on 21 Febrauary to Lamma Island. 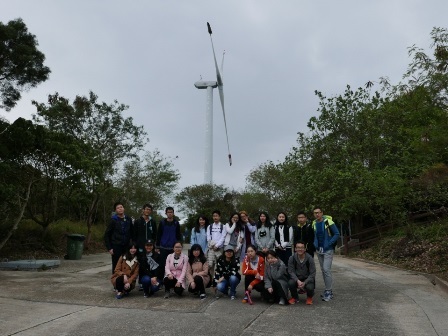 Students from all six halls were invited to join this relaxing activity, and their visit to the windmill on the island brought about a lesson on sustainable energy system. Green Hall promoted the Earth Hour 2016 to all hall residents and successfully aroused consciousness in support of the environment and to address climate change. Hong Kong is celebrating World Environmental Day on 5 June this year in its own fashion - Hong Kong Green Day. 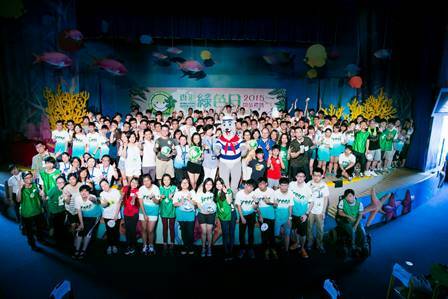 Hong Kong Green Day is initiated by the Green Council since 2013. 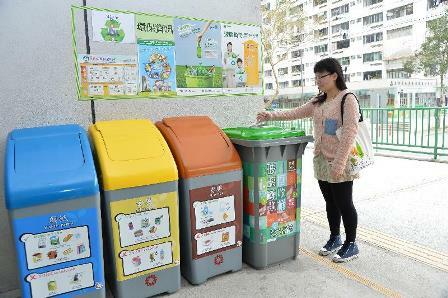 It aims to increase public awareness and interest regarding greater environmental responsibility and protection, as well as transforming Hong Kong into a greener community. This campaign also encourages us to wear green in our clothing and accessories, and stimulate the public at large to implement creative ways to support the green lifestyle. A series of activities will be organized after the Opening Ceremony on 5th June. More information can be found at http://www.greenday.hk/ and let’s respond to this call! Note: The above-mentioned activities are not organized by The Hong Kong Polytechnic University. The information provided here is for reference only and please contact the organizer directly for details. It needs no explanation to show how our oceans are essential to us. They secure food and the health and survival of all life. Despite the huge challenges facing the world’s oceans, by working together we can take actions to protect our oceans for present and future generations. 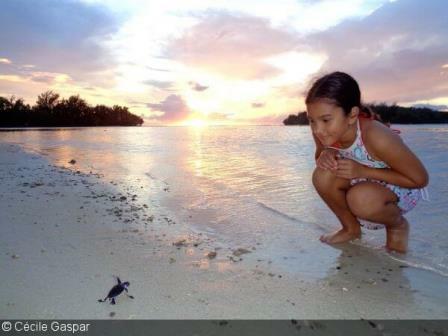 The World Oceans Day 2016 Photo Contest is now inviting photographic submissions. It seeks to inspire the creation and dissemination of positive imagery, which conveys the beauty and importance of the ocean. The deadline is 20 May 2016 at 5 p.m. EST (21 May 2016 at 5 a.m. Hong Kong time). More information can be found at http://www.worldoceansday.org/photocontest/. Note: The above-mentioned activity is not organized by The Hong Kong Polytechnic University. The information provided here is for reference only and please contact the organizer directly for details. 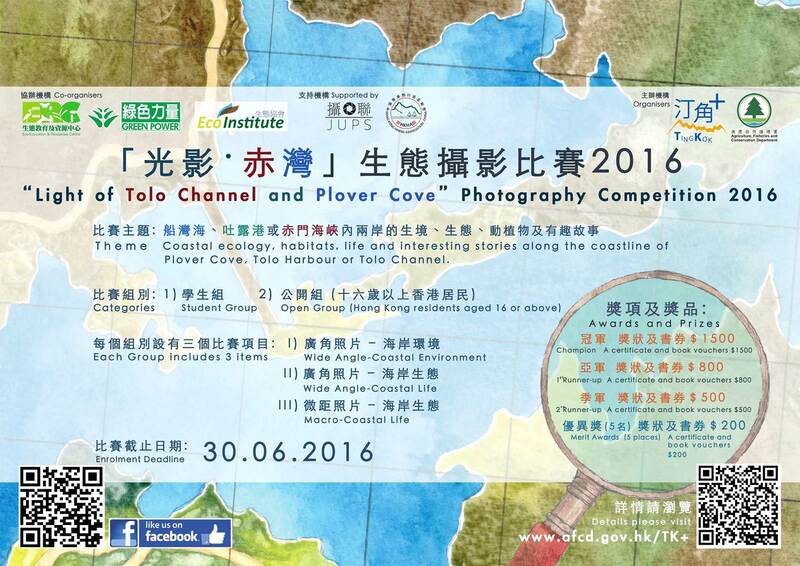 The Agriculture, Fisheries and Conservation Department (AFCD) is running a photo competition entitled “Light of Tolo Channel and Plover Cove”. 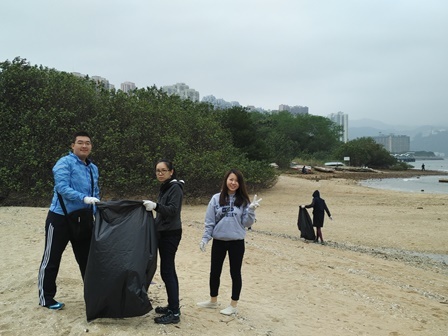 It aims to promote the beauty and biodiversity of coastal life and habitats in Hong Kong, and raise public awareness of importance in conservation of our coastal environment. It is now open for application, inviting entries showing the beauty of coastal ecology, habitats, life and interesting stories along the coastline of Plover Cove, Tolo Harbour or Tolo Channel. The deadline of submission is 30 June 2016. More information can be found at http://www.afcd.gov.hk/english/conservation/con_mar/con_mar_cor/MCC2016_competition.html. 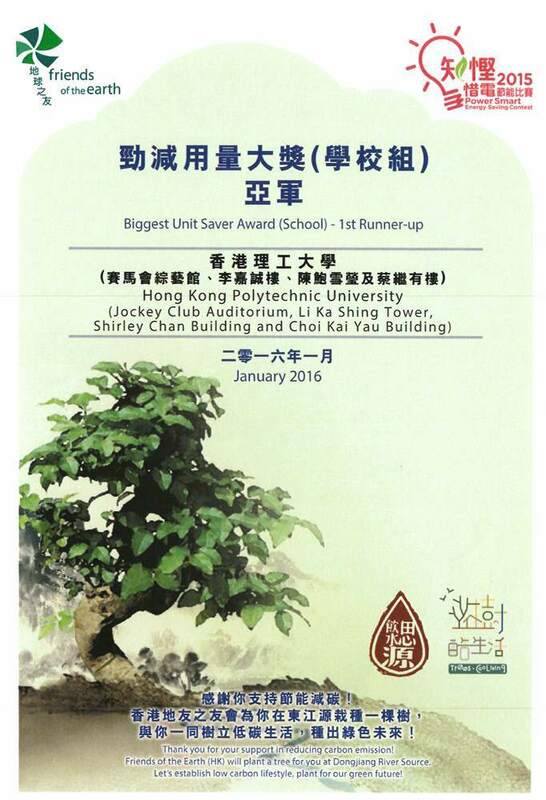 PolyU was awarded the first runner-up of the Biggest Units Saver Award (School Category) at the Power Smart Energy Saving Contest 2015 organized by Friends of the Earth (HK). The award recognizes PolyU's endeavour in reducing electricity consumption and its achievement in fostering sustainable development among its staff and students. 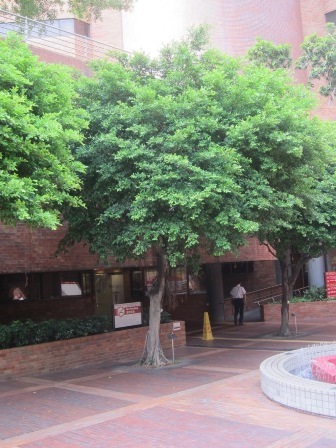 Various energy efficiency strategies have been implemented and executed effectively in all buildings on PolyU campus. 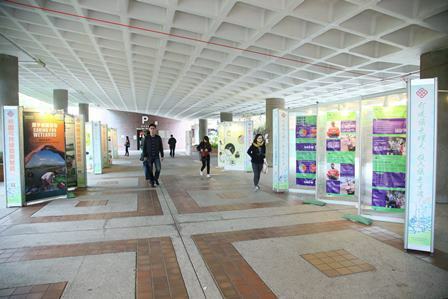 Promotional activities on energy conservation and sustainability, such as the PolyU Campus Sustainability Weeks, are held to educate the PolyU community. The Power Smart Energy Saving Contest in this year has saved 39,365,013 kWh of electricity and the contests have accumulatively saved 263,000,000 kWh of electricity since its launch in 2006, which equivalently reduced 184,000 tonnes of carbon dioxide. Please refer to the official website of the contest at http://powersmart2015.foe.org.hk/eng/ for more details. PolyU has recently been awarded the Bronze Award for the “Public Services Sector” of the 2015 Hong Kong Awards for Environmental Excellence (HKAEE) and recognized as “Hong Kong Green Organization” (HKGO). Entries for this award reached a record high of 1,146 and PolyU is highly commended for green management practices and efforts. The bronze award was a recognition of PolyU’s commitment and accomplishments in green campus management. 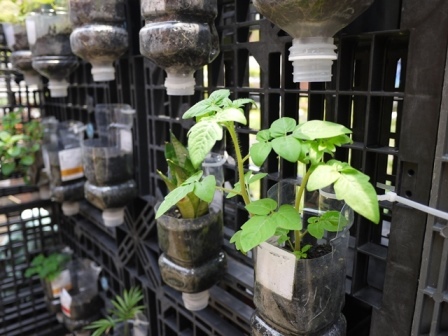 The University has actively implemented programmes and launched new policies to promote a green culture on campus. Energy-saving features such as solar lighting and sustainable technologies have been adopted on campus. Environmental and innovative architectural designs are incorporated in new campus development. 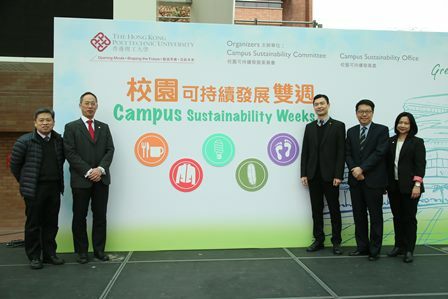 A number of awareness-building activities, such as “VeggieLicious”, “UrbanFarming@Y6” and PolyU Campus Sustainability Weeks, have been organized to motivate change and sustain green behaviours among campus community. The HKAEE and HKGO certification aim to encourage businesses and organizations to adopt green management and green innovations, as well as to present them with an opportunity to benchmark their commitment towards environmental excellence. The award selection process includes criteria such as green leadership, environmental performance and green partner synergy. PolyU went through three stages of assessment in the award selection process and has been awarded for three consecutive years in this scheme. 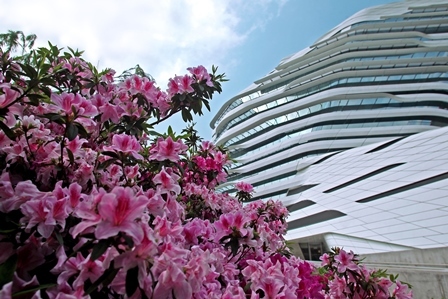 In 2013 and 2014, PolyU has received the Certificate of Merit and Bronze Award in the same sector. Since 2013, the Office of the Government Chief Information Officer (OGCIO) and the Equal Opportunities Commission (EOC) have joined hands to organize an annual Web Accessibility Recognition Scheme (Scheme). The Scheme is to encourage local enterprises and organizations to implement accessibility design in their websites and mobile apps. PolyU scooped seven awards in total this year and the PolyU Green Concepts website secured the special “Triple Gold Award”. More information can be found at http://goo.gl/NoVLmB. 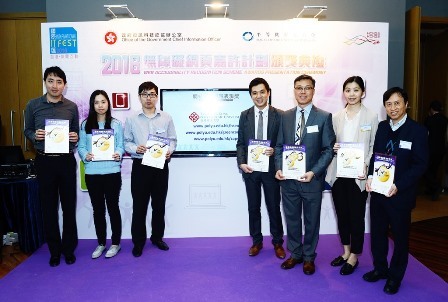 PolyU was presented the Certificate of Recognition for Caring Organization under the Caring Company Scheme for the second year in recognition of the efforts in cultivating corporate social responsibility. It recognizes the University’s efforts in a wide spectrum of responsibilities, such as supporting volunteering services, caring for the employees to ensure their well-being, caring for the environment and promoting environmental protection. 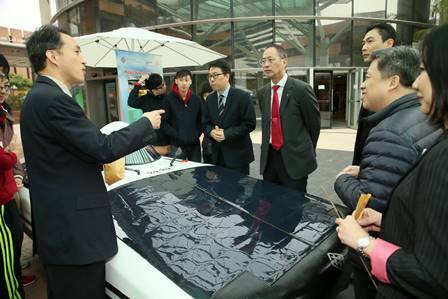 Prof. Eric Cheng from the Department of Electrical Engineering was interviewed by local media for the project of Solar-powered Air-conditioning System for Vehicles and his wealth of experience in developing electric vehicles. Prof. Cheng explained that the system is able to provide long hours of air-conditioning with the engine off during idling, and so contributes to conserving energy and reducing harmful emissions. Being an expert in the field of power electronics, notably in the areas of power conversion machines, Prof. Cheng places a premium on sustaining our environment and he looks forward to bring his research achievements to applications. Read more of his interview at http://goo.gl/DkGAHb. 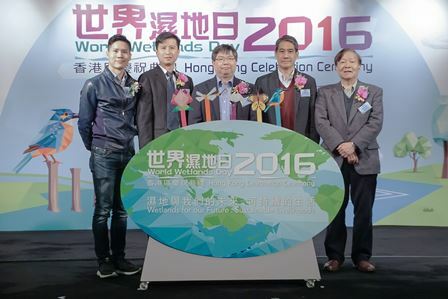 Hong Kong Wetland Park celebrated World Wetlands Day 2016 on 30 January 2016 with the theme of “Wetlands for our Future: Sustainable Livelihoods”. Activities were organized to raise public awareness of conversation of wetlands and to commemorate the adoption of the Convention on Wetlands of International Importance in Ramsar, Iran, on February 2, 1971 for importance of wetlands in the nature. The “Bird Watching Festival 2015/16” featured with guided tours, exhibition and workshops etc. were held to provide opportunities for local and overseas visitors to explore more about the ecology and significance of wetlands. The Environmental Bureau has established the Steering Group on Modification of Recycling and Refuse Collection Facilities in Public Places on 1 February 2016. Chaired by the Secretary for the Environment, Mr. KS Wong, the steering group comprises members from various sectors, including the design and planning, academia and business sectors, non-profit groups and district personalities, as well as government departments with a two years term till to 31 January 2018. The Steering Group will review the existing situation of waste reduction, resource recovery efforts and implementation of municipal solid waste charging. Modifications of distribution and design of recycling and refuse collection facilities in public areas will be recommended to facilitate the effectiveness of waste reduction in our society. More stories can be read from http://goo.gl/V35Pdd. Over tonnes of blossoms and trees are purchased every year and finally disposed after Lunar New Year. Most of them are destined to the overflowing landfills. Government and green groups stressed that the public should consider adopting ways to recycle the plants. 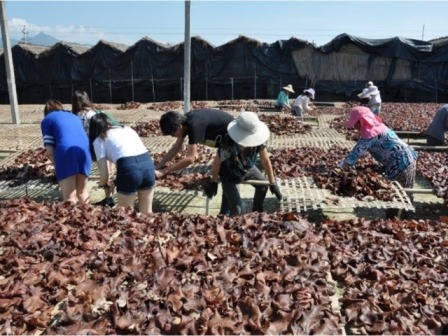 For example, the Environmental Protection Department (EPD) has launched the Peach Blossom Tree Recycling Campaign. The peach blossom tress will be processed into mulches and composting materials. Those recycled products will be sent to schools for educational purpose at no cost. 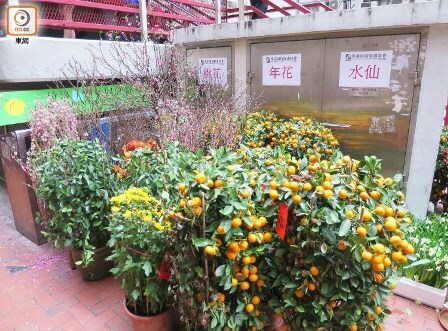 Besides, Tai Po-based Environmental Association promoted the regrow of “lucky” tangerine trees at home. Their study revealed that the weight of disposed trees every year was equivalent to about 60 double-decker buses. They have been collecting over 4,000 trees and replanting them at Tai PO reserve or donating to other organizations. The plants would provide food sources and shelters for butterfly. We should think twice before purchasing the ‘lucky’ trees and blossoms at festival and recycle them to respect their value. More stories can be read from http://goo.gl/vUp1Pv and https://goo.gl/YFwrtX. Beaches in Hong Kong are popular for both local people and tourists to enjoy swimming at their leisure time. The Environmental Protection Department (EPD)'s Beach Water Quality Monitoring Programme monitors beach water quality through water sampling and field data recording, laboratory testing, data collation and information dissemination to ensure the health of the bathers. By the efforts of implementing measures to reduce pollution, the water quality of 41 gazetted beaches has continuously achieved the standard of bathing water for 5 years. 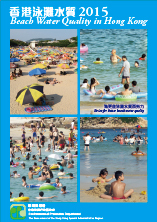 The report can be viewed at the EPD website or the thematic website http://www.beachwq.gov.hk/tc/. 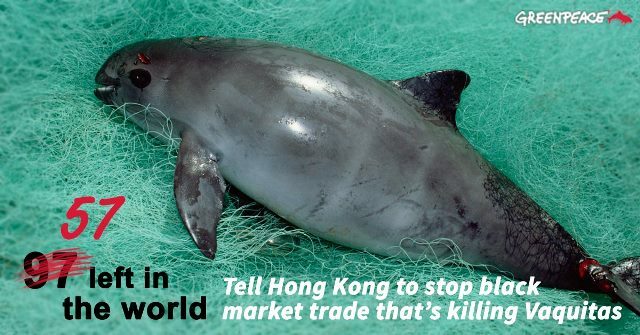 Greenpeace recently revealed a global and illegal smuggling in marine wildlife in Hong Kong. The vaquita found in the Gulf of California in Mexico are being caught and trade illegally to Hong Kong and China. Smugglers used to capture another endangered species, totoaba, whose swim bladders are prized as HK$ 5 million. Such illegal trade impacts the vaquitas as they are being caught and killed by the same fishing nets set for totoaba. This drives the last 97 vaquitas, the world’s smallest and most endangered porpoise to extinction. To protect the vaquitas, the Mexican government has placed a two-year ban on the gillnet fishing in vaquita’s habitat. Greenpeace argued that Hong Kong should take concrete actions to combat the totoaba swim bladder’s illegal trade activities which in turn save the vaquita. Full story on this topic can be found at http://goo.gl/nQWCti.